A bulk tungsten tile with conventional and shaped castellation structures was exposed to various plasmas in KSTAR during 2012 campaign, in order to verify the functions of the shaped castellation designed for ITER divertor. The thermal response of the tile during the campaign was measured by thermocouples. The tungsten tile was collected after the campaign and the castellation structures were examined. The deposition inside the gap was studied to identify the contributions of ions and charge exchange neutrals. The shaped castellation shows smaller penetration depth of ions by a factor of ~1/2 than that of conventional one, thus less deposition inside the gap which is consistent with the prediction made by SPICE2 code. It seems that blister formation and cracking have occurred during plasma shots. The Hansen solubility parameters (HSPs) of as-produced multi-walled carbon nanotubes (APMWCNTs) were determined by means of inverse gas chromatography (IGC) technique. Due to non-homogeneous surfaces of the APMWCNTs arising from defects and impurities, it was necessary to establish adequate working conditions for determining the HSPs of the CNTs. We then obtained the HSPs of the APMWCNTs and compared these results with earlier reports as determined by using sedimentation and molecular dynamics simulation methods. It was found that the determination of the HSPs of the CNTs by IGC can give enhanced determination range based on the adsorption thermodynamic parameters, compared to the HSPs determined using sedimentation methods. And the HSPs of the APMWCNTs, determined here, provided good guidelines for the selection of feasible solvents that can improve the dispersion of the APMWCNTs. Thermal degradation of titanium–containing metal-organic frameworks (MOFs; MIL-125 and MIL-125-NH2 at 350 °C for 6 h in air produced TiO2 nanoparticles of ca. 10 nm in diameter. Scanning electron and transmission electron microscope analyses indicated that those nanoparticles were aggregated randomly within each crystalline particle of their MOF precursors. 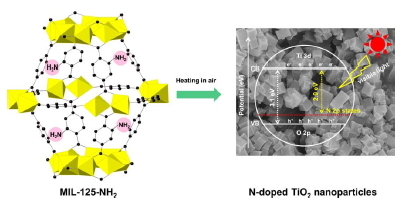 The TiO2 nanoparticles prepared from MIL-125-NH2 exhibited higher activity for the degradation of 4-chlorophenol under visible light. The chirality and diameter are found to simultaneously affect the solubility of SWCNTs. The solubility parameter of armchair SWCNTs is greater than that of zigzag SWCNTs, for a given diameter and length, except for very small diameters. The lower structural stability of the armchair SWCNTs leads to smaller molar volumes. Thus, the chirality of SWCNTs alters the structural stability and consequently the solubility parameter of the SWCNTs. We discuss the theoretical approaches for various electrochemical capacitor systems via performance-potential estimation in regard to specific energy and power densities. 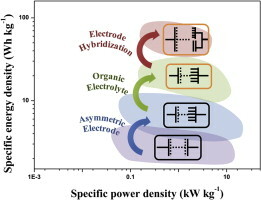 Typical energy storage systems, such as symmetric capacitor system and asymmetric capacitor system, are classified with the symmetry of the electrodes (symmetric/asymmetric), and the types of electrolytes (aqueous/organic). Energy and power densities of each system are theoretically calculated using various factors and coefficients for performance comparison. Then, theoretical modeling for the BatCap system is conducted to indicate the electrochemical performance of this new concept device followed by consideration of ideal structure of the BatCap electrode material. Conclusively, this study successively indicates the performance of each energy storage system depending on the specified conditions of the electrodes and electrolyte which consist of the energy storage systems. Exceptional progress has been made with chemical vapor deposition (CVD) of graphene in the past few years. Not only has good monolayer growth of graphene been achieved, but large-area synthesis of graphene sheets has been successful too. However, the polycrystalline nature of CVD graphene is hampering further progress as graphene property degrades due to presence of grain boundaries. This review will cover factors that affect nucleation of graphene and how other scientists sought to obtain large graphene domains. In addition, the limitation of the current research trend will be touched upon as well. A methyl-modified metal-organic framework (m-TiBDC) shows significantly enhanced hydrostability than unmodified TiBDC, and thus can maintain almost intact CO2 gas adsorption capacity even after its immersion in water for 2 h while TiBDC does not. We report a template-free and easy solvent evaporation method during carbonizing a metal-organic framework (MOF) for the construction of large-scale meso- and macropore. While the direct thermal evaporation method of non-volatile solvent captured in micropore of a MOF is believed to reduce overall porosity of the resultant MOF, this method unprecedentedly directs the reorganization of MOFs toward the production of ultrahigh porous carbon materials. The obtained porous carbon materials possess a unique interconnected three-dimensional wormhole-like structure, high specific surface area (3000 m2 g-1), and exceptionally high pore volume (5.45 cm3 g-1). The micropores, along with accessible meso- and macropores, provide ion storage site and ion transport channel, respectively, that contributes to a rapid elimination of large amounts of salt within a very short period of time. A strategy for fabricating organic photovoltaic (OPV) devices based on PCDTBT nanofibers and PC70BM is described. Electrospinning techniques are used to prepare PCDTBT nanofibers and OPV devices in ambient air. The diameters of the PCDTBT nanofibers are approximately twice the exciton diffusion length, 20 nm. The active layer exhibits 100% photoluminescence quenching due to the small nanofiber diameter, indicating that the excitons are efficiently dissociated. The electrospun PCDTBT nanofibers absorb more photons at longer wavelengths, leading to improved photon harvesting. 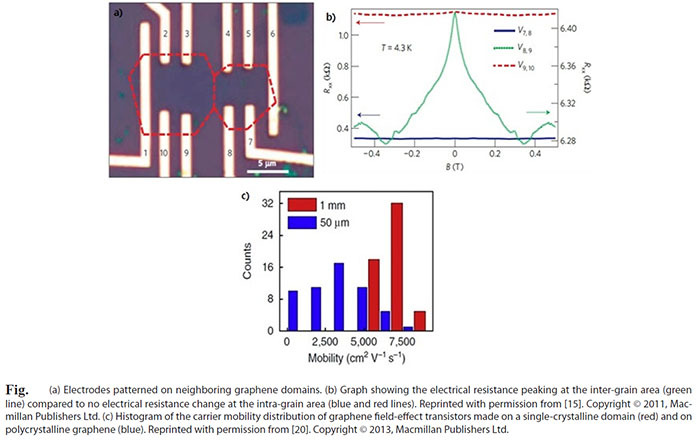 OPV devices composed of the PCDTBT nanofibers show a high short circuit current of 11.54 mA/cm2 and a high power conversion efficiency of 5.82%. The increase in the short circuit current is attributed to enhanced photon harvesting and charge transport. This method may be applied to the fabrication, in ambient air, of large-area active layers composed of other new conjugated polymers to yield high-performance OPV devices. Sulfur-carbon nanosheet hybrids (SCNHs) are simply synthesized by a single-step solid solvothermal reaction as the cathode material for lithium sulfur (LiS) batteries. Sulfur is homogeneously embedded into the carbon nanosheet by in-situ hybridization process, which enhances the electron and ion transportation due to the higher electronic conductivity and morphology, respectively. The solid solvothermal reaction provides insight into the unique chemical-state of sulfur content in the sulfur-carbon hybrids by small difference in electronegativity between sulfur and carbon contents. This characteristic effect on the production of electrolyte-dissoluble lithium sulfide in the electrochemical reaction can enhance the cycle performance of the hybrid as a cathode material in LiS batteries. The SCNHs show improved electrochemical performance of 810 mAh g-1 at 100 mA g-1 and excellent Coulombic efficiency close to 100 % at a high rate. Photovoltaic devices based on nanocomposites composed of conjugated polymers and inorganic nanocrystals show promise for the fabrication of low-cost third-generation thin film photovoltaics. In theory, hybrid solar cells can combine the advantages of the two classes of materials to potentially provide high power conversion efficiencies of up to 10%; however, certain limitations on the current within a hybrid solar cell must be overcome. Current limitations arise from incompatibilities among the various intradevice interfaces and the uncontrolled aggregation of nanocrystals during the step in which the nanocrystals are mixed into the polymer matrix. Both effects can lead to charge transfer and transport inefficiencies. This article highlights potential strategies for resolving these obstacles and presents an outlook on the future directions of this field. Quantum Hall effect (QHE) is clearly seen in graphene grown by chemical vapour deposition (CVD) using platinum catalyst. The QHE is even observed in samples which are irregularly decorated with disordered multilayer graphene patches and have very low mobility (< 500 cm2V‐1s‐1). The effect does not seem to depend on electronic mobility and uniformity of the resulting material making it promising for metrological applications. 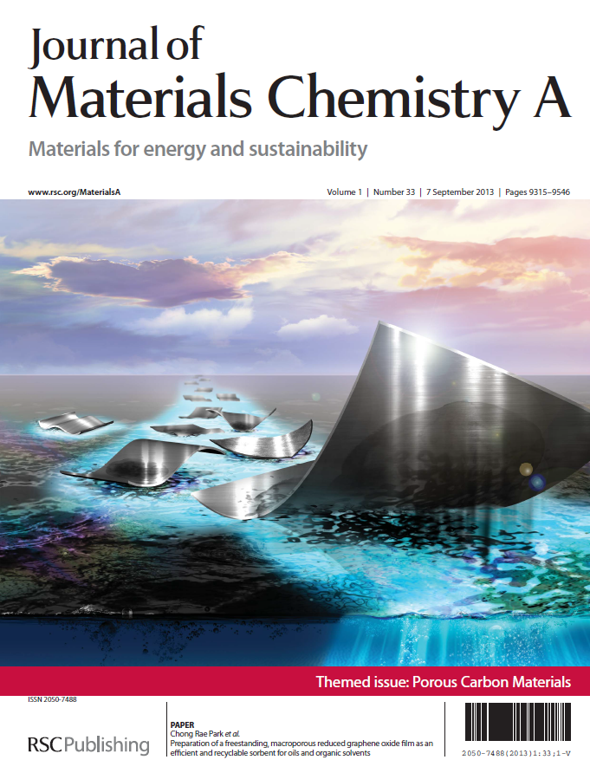 Interest in two-dimensional, sheet-like or flake-like carbon forms has expanded beyond monolayer graphene to include related materials with significant variations in layer number, lateral dimension, rotational faulting, and chemical modification. Describing this family of “graphene materials” has been causing confusion in the Carbon journal and in the scientific literature as a whole. The international editorial team for Carbon believes that the time has come for a discussion on a rational naming system for two-dimensional carbon forms. We propose here a first nomenclature for two-dimensional carbons that could guide authors toward a more precise description of their subject materials, and could allow the field to move forward with a higher degree of common understanding. The reduction of graphene oxide (GO) to graphene is typically carried out under very harsh conditions that require strong reducing agents, elevated temperatures, and long reaction times. Here we introduce a new reducing agent, lithium naphthalenide (LN: ), which is distinguished by the very fast (less than 10 min) and highly efficient reduction of graphene oxide, even under ambient conditions. In contrast with conventional reducing agents that yield hydrophobic reduced graphene oxide (r-GO), this new reducing agent produces r-GO with enhanced hydrophilicity and a very stable dispersion in water. As an additional advantage, the dispersibility of the resultant r-GO can be easily controlled by varying the washing conditions. This new reducing agent, LN, opens up a practical and economical route to the production of hydrophilic r-GO and broadens the applications of graphene-based materials. Nanoscopic dense integration between solid-state emission and photochromism provides nanoprobes capable of photoswitching of bright NIR fluorescence with high on/off contrast, bistability and improved signal identification, being suitable for imaging applications in autofluorescence-rich in vivo environments. 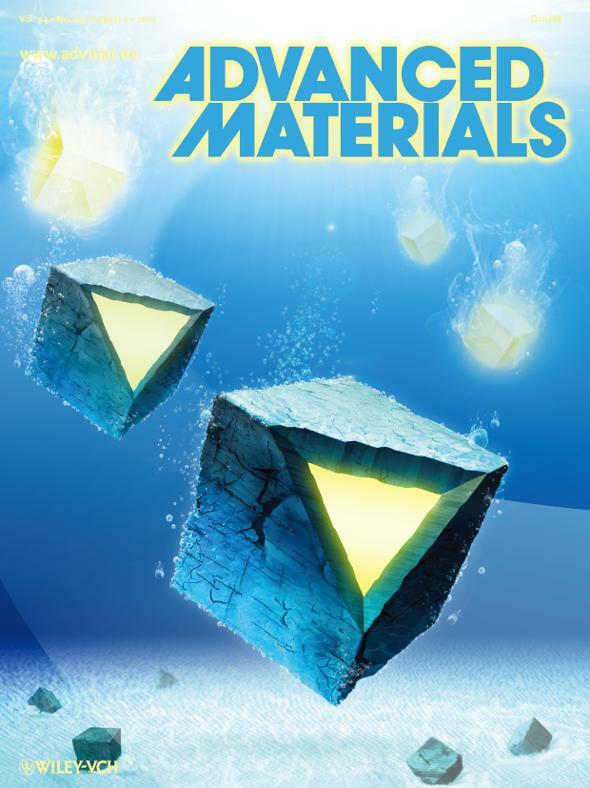 Nanoporous materials, such as zeolites, activated carbons, and metal–organic frameworks (MOFs), are peculiar platforms in which a variety of guest molecules are stored, reacted, and/or separated. The size of the nanopores is essential to realize advanced functions. In this work, we demonstrate a very simple but innovative method for the control of nanopore size, that is, reversible and continuous control by mechanical force loaded to soft nanoporous materials. The elastic properties of several microporous materials, including zeolites, zeolite-templated carbon (ZTC), activated carbon, and MOFs (e.g., ZIF-8), are examined and it is found that ZTC is a material that is suitable for the aforementioned idea thanks to its extraordinary soft properties compared to the others. The original pore size of ZTC (1.2 nm) can be contracted to 0.85 nm by using a relatively weak loading force of 135 MPa, whereas the other microporous materials barely contracted. To demonstrate the change in the physical properties induced by such artificial deformation, in situ gas adsorption measurements were performed on ZTC with and without loading mechanical force, by using CO2, CH4, and H2, as adsorbates. Upon the contraction by loading 69 or 135 MPa, CO2 adsorption amount is increased, due to the deepening of the physisorption potential well inside the micropores, as proved by the increase of the heat of adsorption. Moreover, the adsorption amount is completely restored to the original one after releasing the mechanical force, indicating the fully reversible contraction/recovery of the ZTC framework against mechanical force. The experimental results are theoretically supported by a simulation using Grand Canonical Monte Carlo method. The similar adsorption enhancement is observed also on CH4, whereas H2 is found as an exception due to the weak interaction potential. In this work, we report the preparation of reduced graphene oxide (rGO)-based freestanding recyclable oil adsorbent via an environmentally friendly one-step low-temperature thermal reduction process. The heating rate was adjusted to successfully control the macroporosity of the rGO fims (rGOFs), thereby modulating the adsorption behaviors. The adsorption capacities for a variety of organic solvents and oil species, measured as the percentage weight gain, were measured. Adsorption capacities up to 4500% of the initial rGOF weight were achieved. The films displayed excellent stability over 10 cycles of use and regeneration without incurring significant structural damage or a decrease in the oil adsorption properties. These results suggested that the rGOF-based oil adsorbents may potentially be useful as next-generation oil adsorbent materials for the remediation of maritime ecosystem in the wake of a massive oil spill. We report synthesis, optical/structural characterization of new fluorescent rod-coil amphiphiles based on the PEGylated -cyanostilbene skeleton (12EO-CNMBE and 12EO-CNTFMBE) and their self-assembly behaviors in water. Distinct from the common amphiphilic behavior of nonfluorinated 12EO-CNMBE forming spherical nanostructures, fluorinated 12EO-CNTFMBE has proven to be the first example of a molecular building block that can self-assemble in water into small-dimension, small-aspect-ratio organic nanorods with aggregation-induced enhanced emission (AIEE). The robust structural integrity and hydrophobic/π-conjugated nature of the fluorinated block assembly, as well as the anti-fouling coating by the hydrophilic PEG block, enabled stable encapsulation of a model drug (Nile Red) within the self-assembled nanorod structure and its successful delivery through membrane filters. By virtue of these advantageous attributes along with high intracellular uptake efficiency, the 12EO-CNTFMBE nanorods manifested potential as a self-signaling fluorescent nanocarrier for the intracellular delivery of hydrophobic cargos. Hydrogen bonding is a major intermolecular interaction for self-assembly occurring in nature. 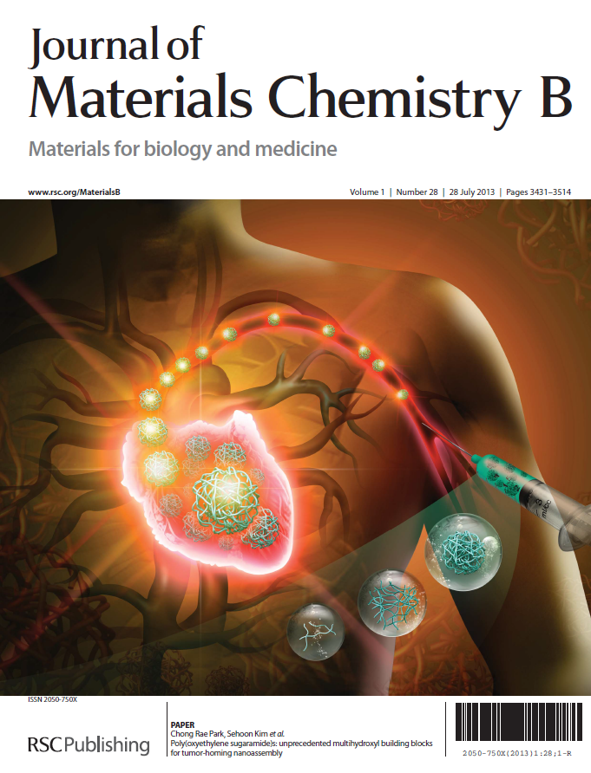 Here we report novel polymeric carbohydrates, i.e., poly(oxyethylene galactaramide)s (PEGAs), as biomimetic building blocks to construct hydrogen bond-mediated self-assembled nanoparticles that are useful for biomedical in vivo applications. PEGAs were conceptually designed as a biocompatible hybrid between polysaccharide and poly(ethylene glycol) (PEG) to attain multivalent hydrogen bonding as well as fully hydrophilic, non-ionic and antifouling characteristics. It was revealed that PEGAs are capable of homospecies hydrogen bonding in water and constructing multi-chain assembled nanoparticles whose structural integrity is highly stable with varying concentration, temperature and pH. Using near-infrared fluorescence imaging we demonstrate facile blood circulation and efficient tumor accumulation of the self-assembled PEGA nanoparticles that were intravenously injected into mice. 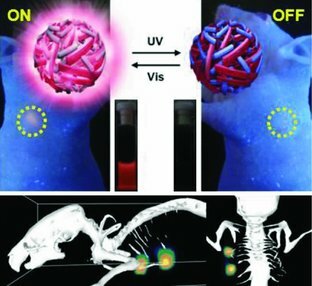 These in vivo behaviors elucidate the combined merits of our design strategy, i.e., biocompatible chemical constitution capable of multivalent hydrogen bonding, antifouling properties, minimal cell interaction and mesoscopic colloidal self-assembly, as well as size-motivated tumor targeting. Photodynamic therapy (PDT) is a non-invasive treatment modality for selective destruction of cancer and other diseases and involves the colocalization of light, oxygen, and a photosensitizer (PS) to achieve photocytotoxicity. Although this therapeutic method has considerably improved the quality of life and life expectancy of cancer patients, further advances in selectivity and therapeutic efficacy are required to overcome numerous side effects related to classical PDT. 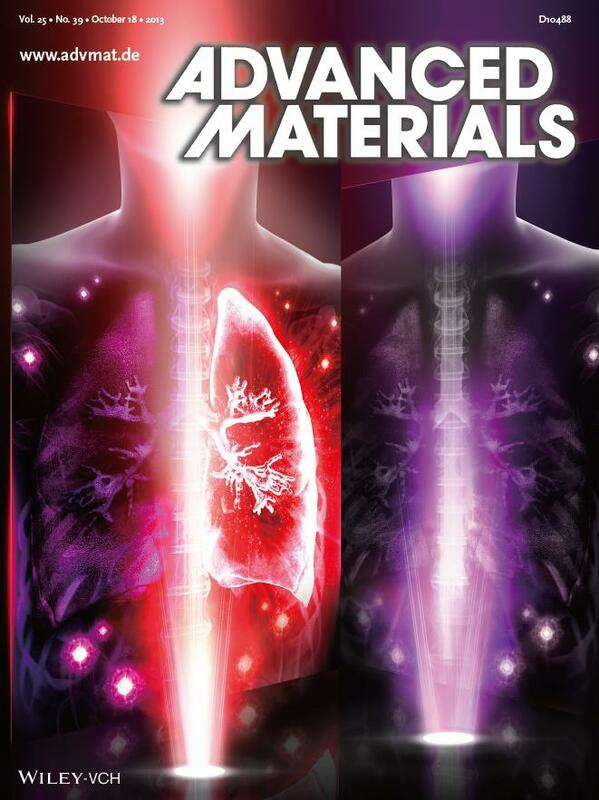 The application of nanoscale photosensitizers (NPSs) comprising molecular PSs and nanocarriers with or without other biological/photophysical functions is a promising approach for improving PDT. In this review, we focus on four nanomedical approaches for advanced PDT: (1) nanocarriers for targeted delivery of PS, (2) introduction of active targeting moieties for disease-specific PDT, (3) stimulus-responsive NPSs for selective PDT, and (4) photophysical improvements in NPS for enhanced PDT efficacy. Stainless steel coupons with cavity structure were installed at different poloidal locations in KSTAR during 2009 campaign to study deposition and H/D retention inside the gap of PFCs. The deposition profiles at different poloidal locations indicate that the incoming species have high surface loss probability (β) and they are probably charge exchange neutral particles. The (H+D)/C ratios of layers inside the coupons were in a range from 0.04 to 0.37 at different poloidal locations which might be caused by different contribution of different hydrocarbon species. Campaign integrated, time averaged net C, H/D atom flux density towards outer walls are in the similar range with other carbon dominated machines. The atmospheric-pressure plasma spray of tungsten coating was performed with tungsten carbide (WC) powder by DC plasma torch equipped with a stepped anode nozzle as a potential method of W coating on graphite plasma facing component of fusion reactors. This nozzle configuration provides Helmholtz oscillation dominated in APS arc fluctuation and the variation of auto-shroud effect with Helmholtz oscillation characteristics can be investigated. Tungsten coating made from tungsten carbide powder has lower porosity and higher tungsten purity than that of made from pure tungsten powder. The porosity and chemical composition of coatings were investigated by mercury intrusion porosimetry and X-ray photoelectron spectroscopy, respectively. The purity of tungsten coating layer is increased with increasing the frequency of Helmholtz oscillation and increasing arc current. The modulation of Helmholtz oscillation frequency and magnitude may enhance the decarburization of tungsten carbide (WC) to deposit tungsten coating without W-C and W-O bond from WC powder. Hierarchically porous carbon-coated ZnO quantum dots (QDs) (3.5 nm) were synthesized by a one-step controlled pyrolysis of the metal–organic framework IRMOF-1. We have demonstrated a scalable and facile synthesis of carbon-coated ZnO QDs without agglomeration by structural reorganization. This unique microstructure exhibits outstanding electrochemical performance (capacity, cyclability, and rate capability) when evaluated as an anode material for lithium ion batteries. Carbon nanotube (CNT) dispersions have been prepared using a variety of surface modification methods; however, these methods frequently have a negative effect on the intrinsic properties of CNTs or need to remove the surface modifiers. The Flory-Huggins theory suggests that such problems can be alleviated or eliminated, if ideally, when the solubility parameters of CNTs and a given medium are very similar or equal to each other. Since the earlier reported solubility parameters of CNTs were determined by indirect methods and varied in wide ranges, we suggested herein a possible way of directly determining the solubility parameter of various types of CNTs by using a finite-length model, and reported the determined solubility parameters of pristine single-walled carbon nanotubes (SWCNTs) and pristine double-walled carbon nanotubes (DWCNTs). Through the validity test of the suggested model it was found that the 2 nm finite-length of CNT can represent the longer CNTs for the study of the solubility parameters. In addition, the pristine DWCNTs were found to have higher solubility parameters than do the pristine SWCNTs, and within the given type of CNTs the solubility parameters varied inversely with the diameter of the CNTs. Based on the obtained result it was expected that the solubility parameters for pristine multi-walled carbon nanotubes (MWCNTs) should be similar to or slightly higher than the values for DWCNTs. Due to an error that was undetected during the final production process, the starting sentence of the first paragraph on page 51 of the article should read: “ sH-PS-b-f-PI as an acid form was derived from a PS b-PI precursor, which was synthesized by anionic polymerization. ” The publisher sincerely apologizes for any inconvenience that may have been caused by this error. We studied the relationship between the thermal conditions and the evolution of the porosity in thermally reduced graphite oxide (TH-rGO) and found that the heating rate, rather than reduction temperature and atmospheric condition, played a crucial role in the evolution of porosity during the thermal reduction of GO at low temperatures. Higher heating rates increased the porosity of the TH-rGO. A slow heating rate facilitated the evolution of H2O and CO2 whereas a higher heating rate released CO2 and CO gases with the concurrent development of a folded and crumpled morphology. 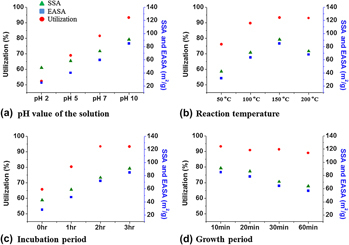 We further demonstrated that the higher heating rate resulted in a highly porous texture with lower reduction temperature (below 140 °C) and shorter reduction time (less than 5 min), indicating that the reduction time and temperature are found to be dependent on the heating rate. The morphologies of sulfonated polystyrene-block-fluorinated polyisoprene (s-PS-b-f-PI) were studied as functions of different kinds of solvents and thermal annealing, using transmission electron microscope microscopy (TEM), small angle X-ray scattering (SAXS) and intermediate angle X-ray diffraction (IMAXD). The film of the block copolymer ionomer with an acid form [sulfonated PS-b-fluorinated PI (sH-PS-b-f-PI)], which was cast from anhydrous tetrahydrofuran (THF), developed a well-ordered cylindrical morphology of the f-PI domains in the sH-PS matrix. The morphology was explained by the solubility parameter and the Bjerrum length. The morphology changed to that of a no long-range ordered structure, through thermal annealing. The result was different from the usual behavior of uncharged diblock copolymers and could have been due to the ionic cluster formation. The solution casting films of the block copolymer ionomer with a cesium neutralized form (sCs-PS-b-f-PI) were obtained from the mixed solvent of THF/water (98/2, wt/wt) and DMSO. The ionic cluster formation in the film cast from the mixed solvent was hardly changed by annealing. The promotion of the ionic cluster formation by annealing was clearly observed in the film cast from DMSO. However, hindrance of microphase separation by the promotion of the ionic cluster formation was not confirmed in this study. Hydrogen is a promising energy carrier that can potentially facilitate a transition from fossil fuels to sustainable energy sources without producing harmful by-products. Prior to realizing a hydrogen economy, however, viable hydrogen storage materials must be developed. Physical adsorption in porous solids provides an opportunity for hydrogen storage under low-stringency conditions. Physically adsorbed hydrogen molecules are weakly bound to a surface and, hence, are easily released. Among the various surface candidates, porous carbons appear to provide efficient hydrogen storage, with the advantages that porous carbon is relatively low-cost to produce and is easily prepared. In this review, we summarize the preparation methods, pore characteristics, and hydrogen storage capacities of representative nanoporous carbons, including activated carbons, zeolite-templated carbon, and carbide-derived carbon. We focus particularly on a series of nanoporous carbons developed recently: metal–organic framework-derived carbons, which exhibit promising properties for use in hydrogen storage applications. The battery–supercapacitor hybrid electrode, consisting of both faradaic rechargeable battery components and non-faradaic rechargeable supercapacitor components in a single electrode, is successfully developed using Li4Ti5O12–activated carbon (LTO–AC) hybrid nanotubes in a negative electrode for an advanced energy storage device. Li4Ti5O12 and PVA-derived activated carbon are hybridized with morphological control over the one-dimensional (1D) tubular structures via an in situ sol–gel reaction combined with electrospinning, followed by a hydrothermal reaction and appropriate heat treatment. 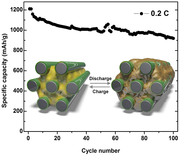 The prepared LTO–AC hybrid nanotubes are tested at a variety of charge–discharge rates as anode materials for use in lithium-ion rechargeable batteries that deliver a specific capacity in the range of 128–84 mA h g−1 over a 100–4000 mA g−1 charge–discharge rate in the potential range 1.0–2.5 V vs. Li/Li+. The hybridized LTO–AC hybrid nanotubes electrode is included in a new type of hybrid energy storage cell, denoted as BatCap, as the negative electrode using commercialized activated carbon (AC) as the positive electrode. The hybrid BatCap cell exhibits a high energy density of 32 W h kg−1 and a high power density of 6000 W kg−1, comparable to the properties of a typical AC symmetric capacitor. The catalytic activity of Pt nanoparticles (NPs) significantly influences the electrochemical performance of direct methanol fuel cells. Information about the factors that influence the electrochemical activity of the catalyst themselves is scarce; hence, guidelines for the preparation of Pt NPs that yields the best performances are lacking. With consideration for this situation, we systematically investigated the relationship(s) between the characteristics of Pt NPs and their electrochemical performance. The general characteristics of Pt NPs, such as the average size, loading density, and dispersion status on the support, were varied in the presence of poly(acrylic acid)-wrapped multiwalled carbon nanotubes by controlling the preparation conditions, including the pH of the aqueous solution, the reaction temperature, and the reaction time. The enhanced catalytic activity is attributable to higher degree of dispersion, specific surface area, and electrochemically active surface area of Pt NPs. The optimized catalyst exhibits a ∼165% higher catalytic activity toward methanol oxidation than the commercial E-TEK. A straightforward method for significantly improving the moisture resistance of MOFs is described. In the proposed method, MOFs are subjected to thermal treatment, thus inducing the formation of an amorphous carbon coating on the MOF surfaces that prevents hydrolysis. This approach should open up new practical applications for MOFs in areas hitherto unexplored due to concerns regarding moisture sensitivity. We report a simple, cost-effective, and environmentally benign process for reducing graphite oxide by treating solely with sulfuric acid. The suggested process consists of a two-step reduction of graphite oxide, first in aqueous sulfuric acid at room temperature and then in concentrated sulfuric acid with refluxing. X-ray diffractometry, X-ray photoelectron spectroscopy, Raman spectroscopy and thermogravimetric analysis demonstrated that the graphite oxide was reduced effectively and was comparable in composition to reduced graphite oxide prepared using previously described methods that rely on toxic and hazardous reducing agents, such as hydrazine, sodium borohydride, or hydrohalic acids.